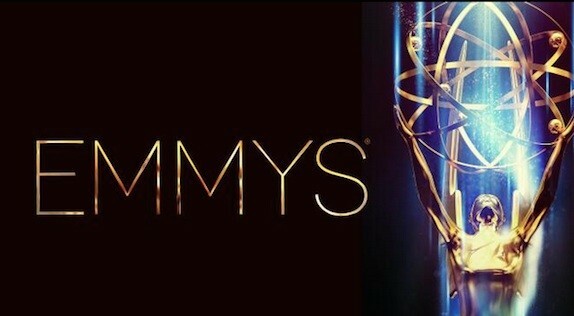 The Emmys happened this past Sunday, and I promised a few days ago to put up a post about what upset me and had me pleasantly surprised. This post is coming a bit late because this week has been terrible and when I get home in the evenings I'm so exhausted I just feel like sitting down. Sorry about that. Here goes. Bryan Cranston winning Best Actor in a Drama Series for Breaking Bad made me extremely happy. This was by far the hardest-to-predict category of the evening. No one knew whether Matthew McConaughey would win for True Detective or Cranston would win. I was backing McConaughey but since I love Breaking Bad and Cranston I don't mind. He also gave a terrific acceptance speech. Benedict Cumberbatch and Martin Freeman win for Sherlock. I was totally expecting Freeman to win, but not Cumberbatch. I was hoping Billy Bob Thorton would win for Fargo in that category but oh well. Julianna Margulies wins for The Good Wife. I don't really like this show but Margulies is the real reason it's still running. Good for you girl. Ozymandias episode from Breaking Bad wins Best Writing in a Drama Series. This is my favorite episode of the show and it deserves all the acclaim it gets. Allison Tolman getting snubbed by Kathy Bates. Tolman gave an amazing minimalist performance on Fargo and Kathy Bates beat her out just because Bates is an older, more renowned actress. Case closed. Allison Janney beats out Kate McKinnon for Best Supporting Actress in a Comedy Series. I absolutely love Kate McKinnon and she is the only reason I'm watching SNL at this point. I love Allison Janney, but still this wasn't right. Bryan Cranston and Julia Louis-Dreyfus make out like they did on Seinfeld. This was just hilarious and I loved it. Andy Samberg plays Prince Joffrey and interrupts Lena Heady while she is presenting to tell her he has been poisoned, and pleads with her to love him like she loves Uncle Jaime. I couldn't breathe after this. So there are some of my thoughts about the Emmys. I'd love to hear what you guys think.